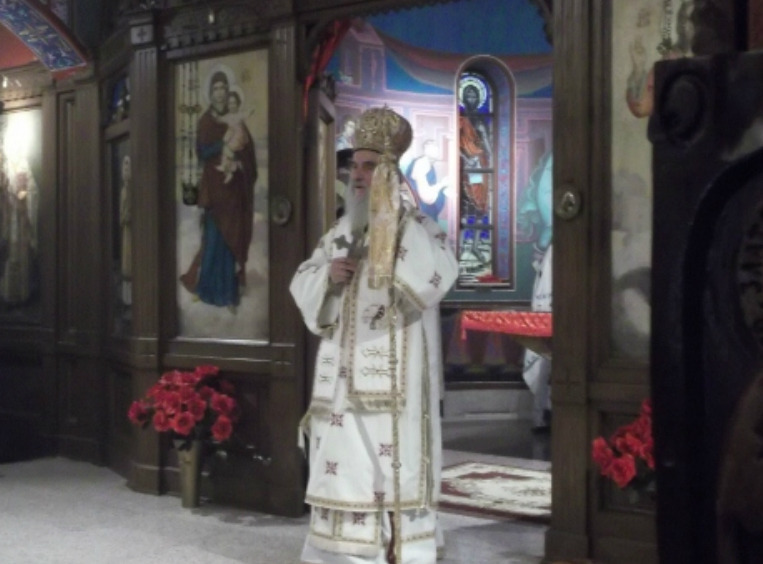 Libertyville, IL - His Holiness, Serbian Patriarch Irinej is visiting the Serbian Orthodox Church in North and South America from November 26th until December 13th. 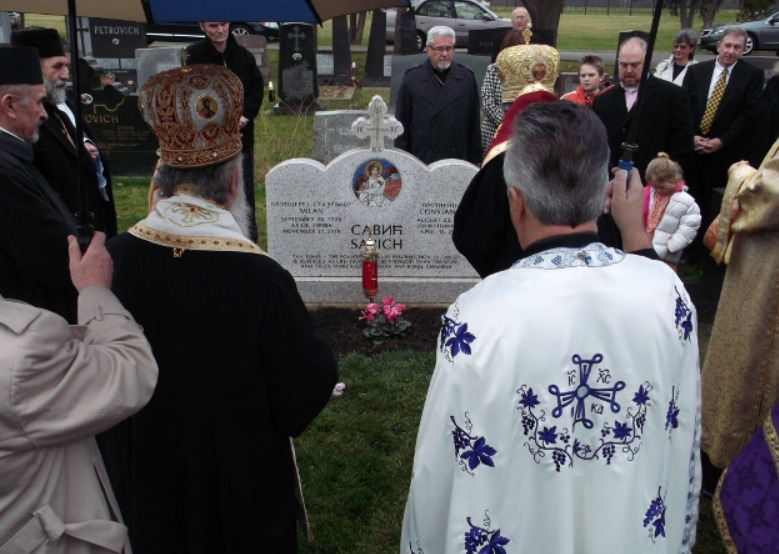 His Holiness is currently staying in the Saint Sava Monastery in Libertyville IL. 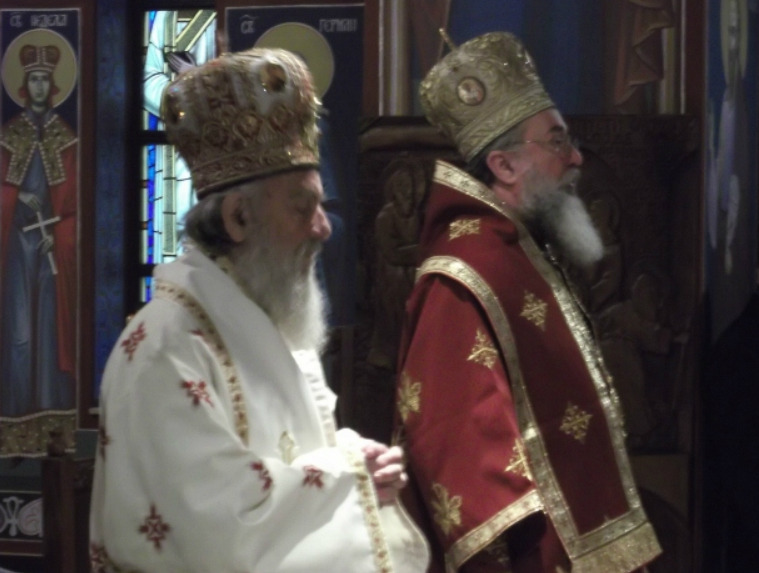 On Saturday, November 26th, the Patriarch served Divine Litrurgy at the Saint Sava Monastery, along with His Grace Bishop Longin and several priests and deacons. After the Liturgy, Parastos was served for Protojerej-stavrofor Milan Savich on the one year anniversary since his repose. 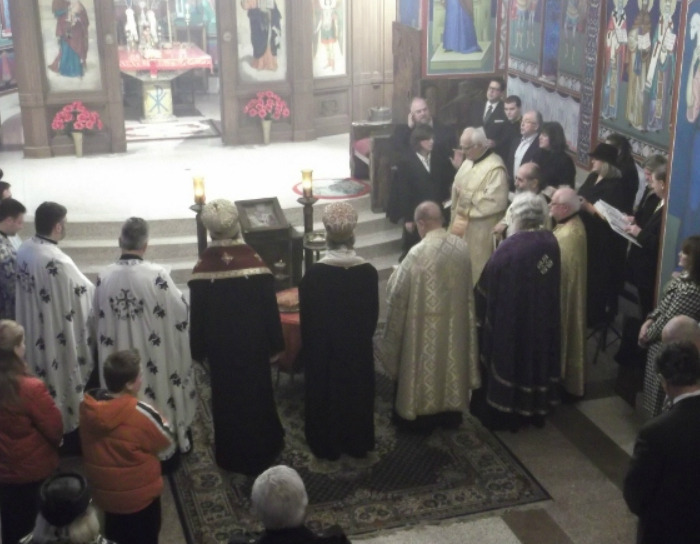 On Sunday, November 27th, His Holiness served Divine Liturgy with Bishop Longin at the Saint Stefan Decanski Parish in Chicago.